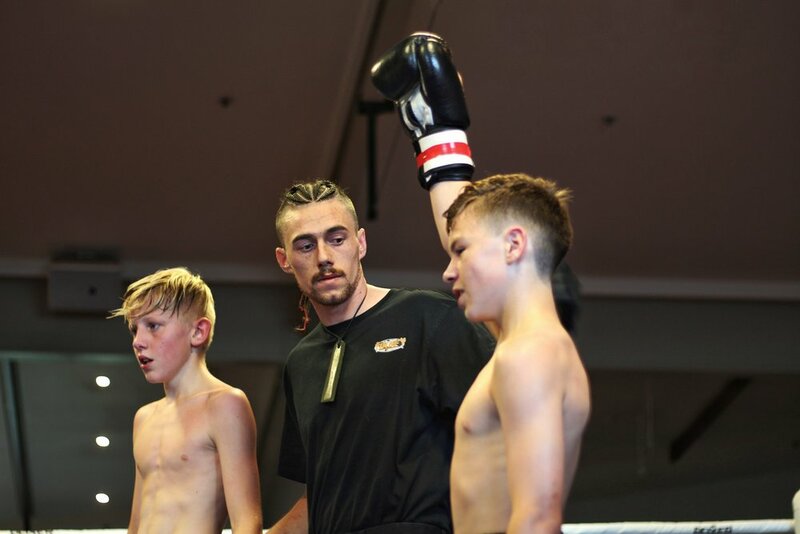 Fans packed the Woolston Working Man's Club in Christchurch to attend Elite Fight Complex's "Domanation" fight event, a succesion of 10 kickboxing bouts culminating in two IKBF South Island title fights. New Zealand Fighter's Harry Greenfield was on the scene to bring you the action. 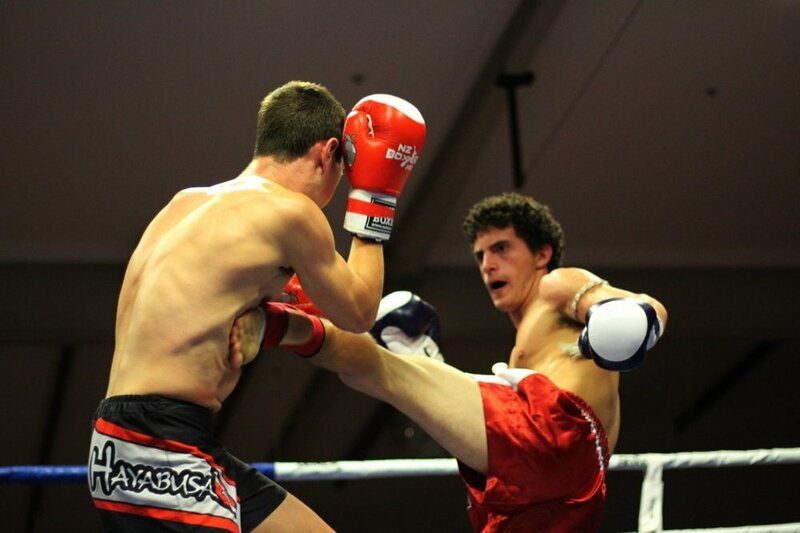 The main event saw surging contender Alex Tzinavos of Maui Muay Thai take on Proactive's Charlie Baker at 72.5kg for the IKBF South Island Light Middleweight belt. Baker took the centre early, firing hard kicks while Tzinavos worked from the outside with teeps and headkicks crashing into the guard. The fight was violent while it lasted, with both men throwing with power. 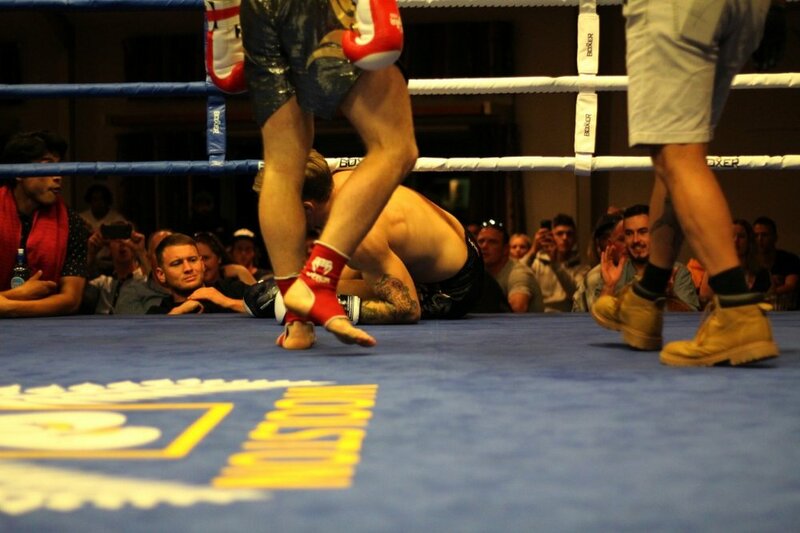 At the close of round 1, Baker landed a vicious leg kick which crumpled Tzinavos beneath the ropes, leading the referee to step in for an 8-count as he regained his feet. The damage was done, however, and the towel was thrown in between rounds due to Tzinavos blowing his ACL. 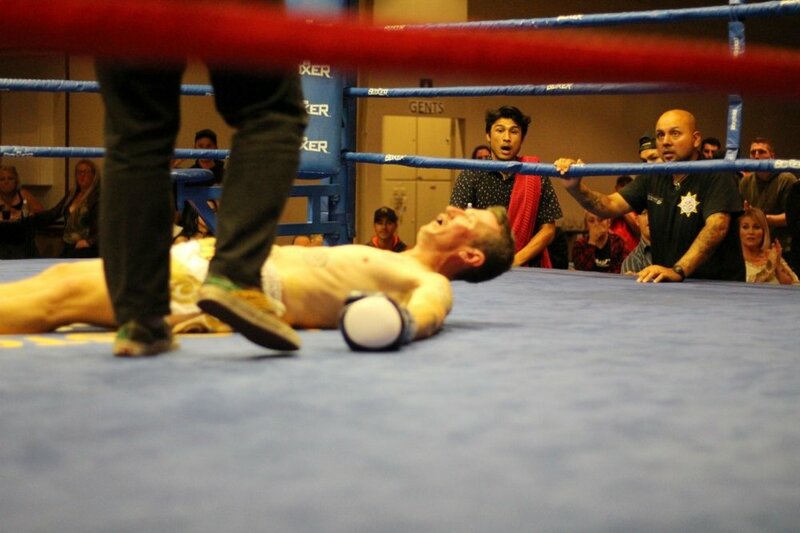 A TKO victory for Baker after a short but explosive fight. 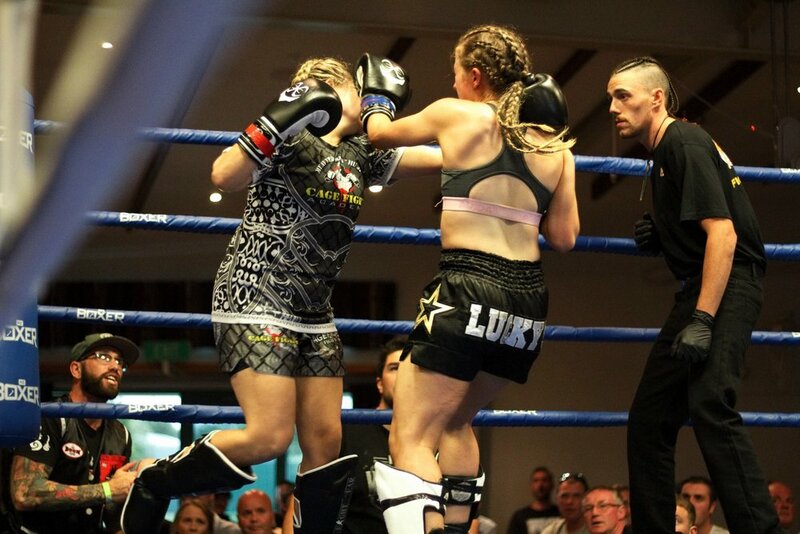 A clash of styles unfolded as Proactive's Kate O'Neill met EFC's Alisha Burtt over 5 rounds for the IKBF South Island Featherweight title. Both fighters orthodox, it was the taller O'Neill who had success early, controlling the range and unloading steel shins keeping Burtt on the outside. As the fight progressed, however, it was Burtt who began to impose her will, with relentless forward pressure, landing thudding punches to the head and knees to the body. O'Neill fought gamely til the end, but the gas tank of Burtt was limitless, as she brought the pain in rounds 3, 4, and 5 to take a unanimous decision victory and a shiny new belt. 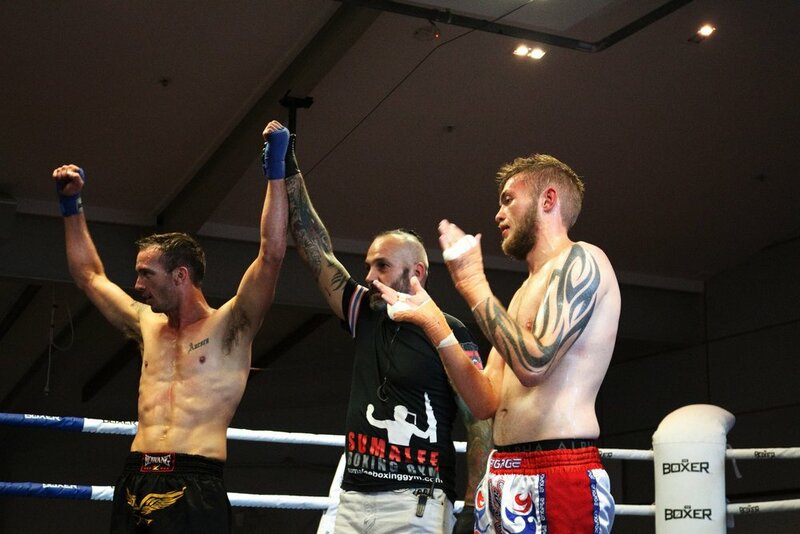 Iain Blade of EFC made short work of Maui Muay Thai's Andy Irvine at 72kg. Both men brought the fury, exchanging in the pocket, Blade with an unorthodox style and Irvine working straight punches off the teep. In a chaotic exchange at the close of round 1, Irvine unloaded a spinning backfist and in return got blasted clean on the chin by a right headkick from Blade, laying him out on his back unable to answer the 8-count. Impressive KO victory for Blade. The two titans of the card clashed as Cage Fight Academy's Trulin Toatoa stepped in on short notice to take on EFC's Vin Jones at 92kg. The taller Jones controlled range well from the outside, using kicks and a stiff cross to keep Toatoa at range, clinching and threatening knees to the head when the distance closed. 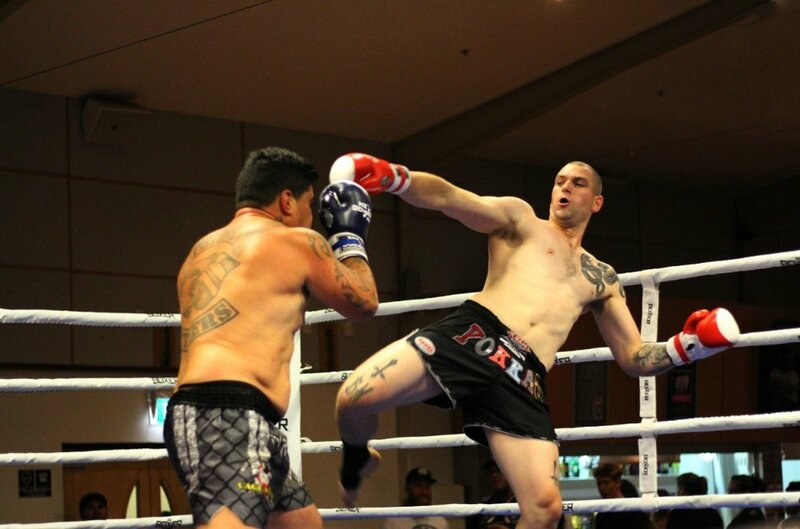 Toatoa came with the pressure, forcing the action to the end, but Jones kept a cool head, implementing his gameplan to keep Toatoa at bay and score a split decision victory. 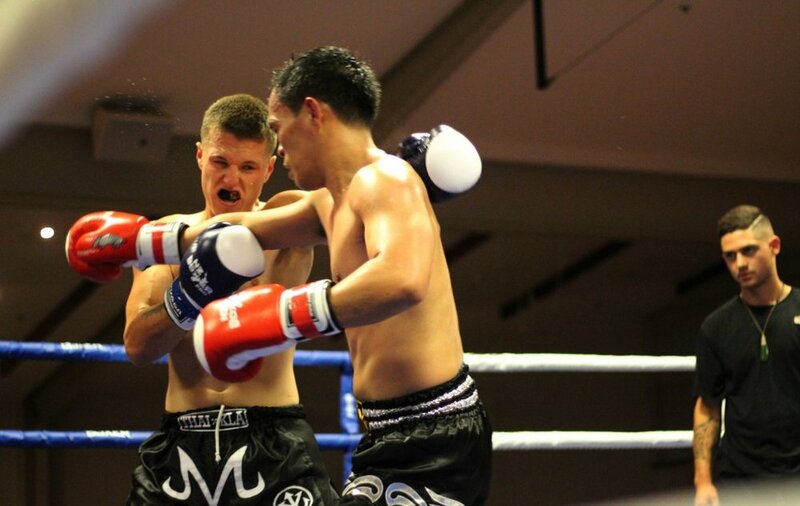 Maui Muay Thai's Josh Hounslow put on an offensive display as he overwhelmed Proactive's Manny Recamadas over 3 rounds to take a unanimous decision victory. Hounslow displayed fierce intensity and adept ring control, pushing back Recamadas with sharp hands. 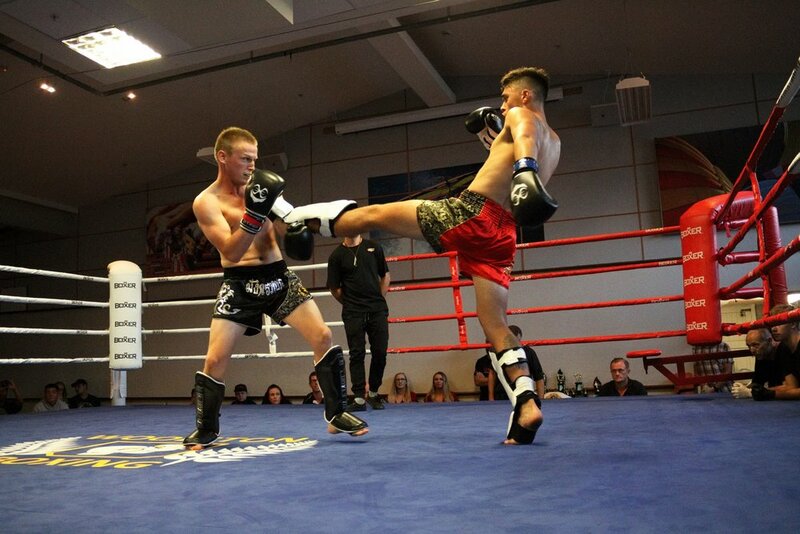 Recamadas unleashed nasty kicks in retaliation, but as the fight progressed it was Hounslow whose pace did not wane, ignoring the pain of the shin-to-shin clashes to impose his will and take the win. 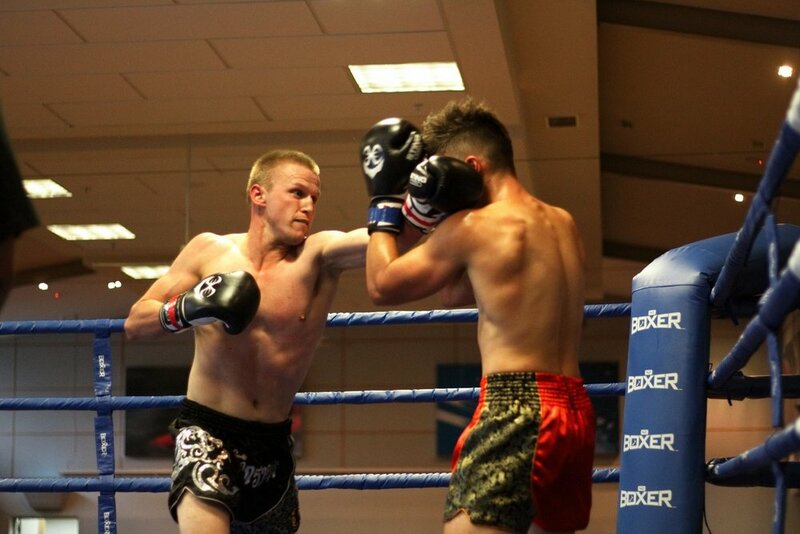 Sitnarong's Taylor Cook inflicted a relentless pace on EFC's Aaron Skow in the night's first bare-shinned fight at 65kg, fought under mod Thai rules. Cook was intense in the staredown, and showed the crowd why as the fight started, with a furious offensive assault pressing the action. 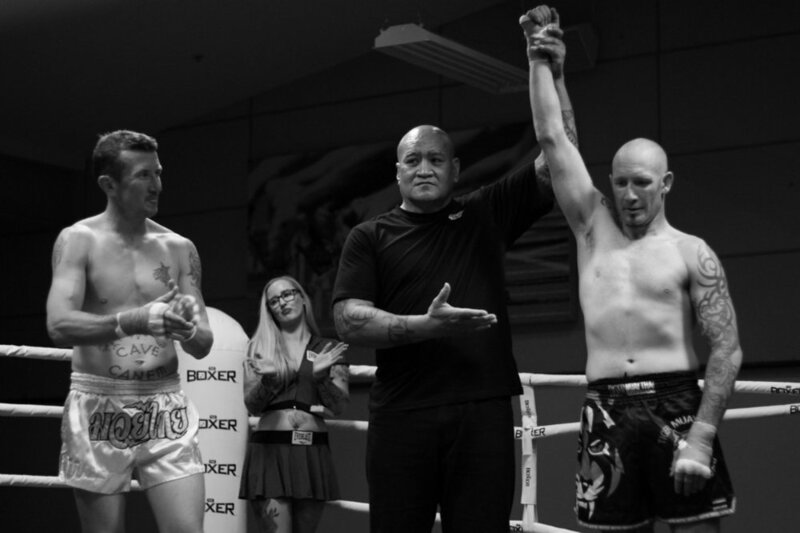 Skow returned fire with hard shots from the outside, both men landing damage, but it was Cook who controlled the pace of the bout adding vicious knees to the end of his punch combinations, his constant aggression leading to a unanimous decision victory. One of the most action-packed padded fights of the night saw Lucky 9 Gym's Maddy Atwill face EFC's Nadia Roza Luketina, in what turned into an absolute dogfight at 63kg. From the outset, Atwill pressed the action, with a varied offense of punches leading to knees, countered by the hard-nosed brawling style of Luketina. Luketina came back with a vengeance in the 2nd and 3rd, but Atwill's offensive output culminated in a teep knockdown in the 3rd round which put the stamp on a unanimous decision victory. 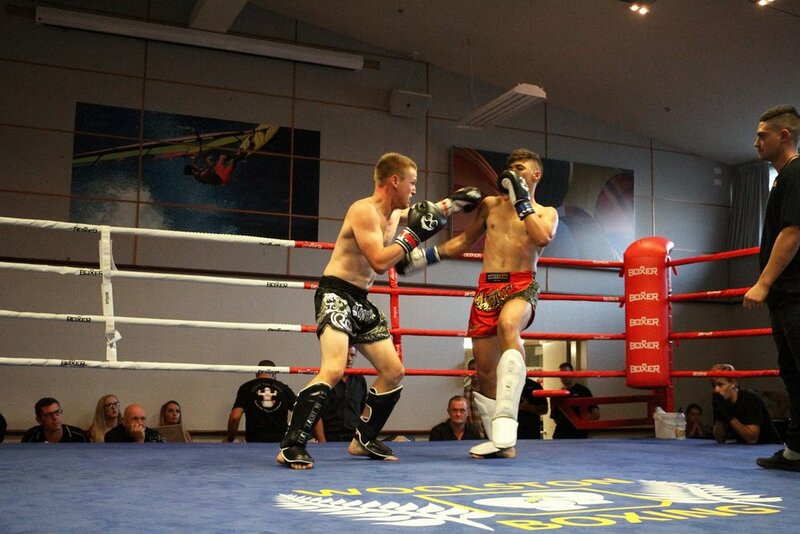 Sparks flew as Zak Robertson of Maui Muay Thai met Universal Vale Tudo's Matt Lamb in a padded K1 fight at 75kg. 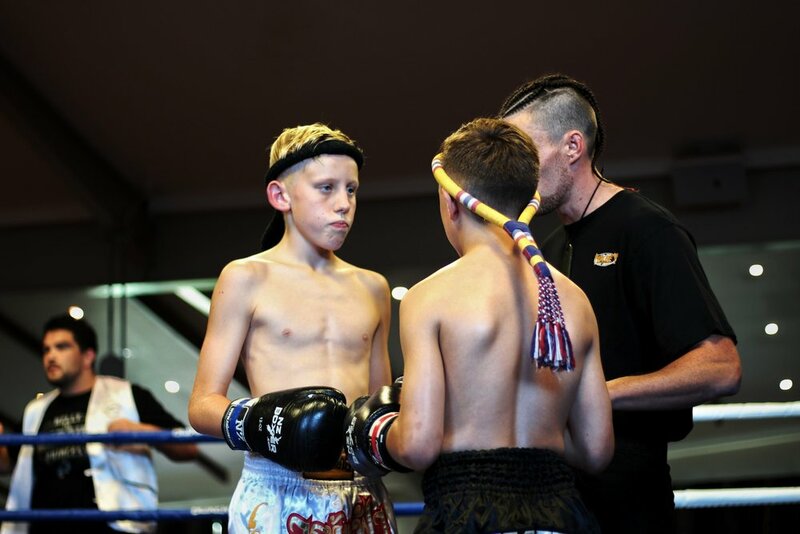 Lamb brought the pace early, unloading rapid-fire punches at the taller Robertson, but it was Robertson who began to take the lead with a varied attack. 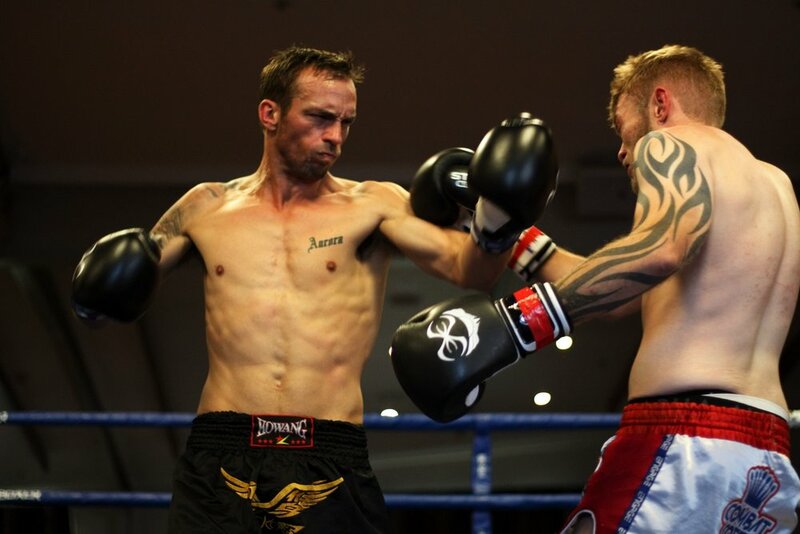 The superior offensive output of Robertson continued as the fight progressed, and Lamb fought hard but could not breach the deficit, with Robertson earning a unanimous decision victory. 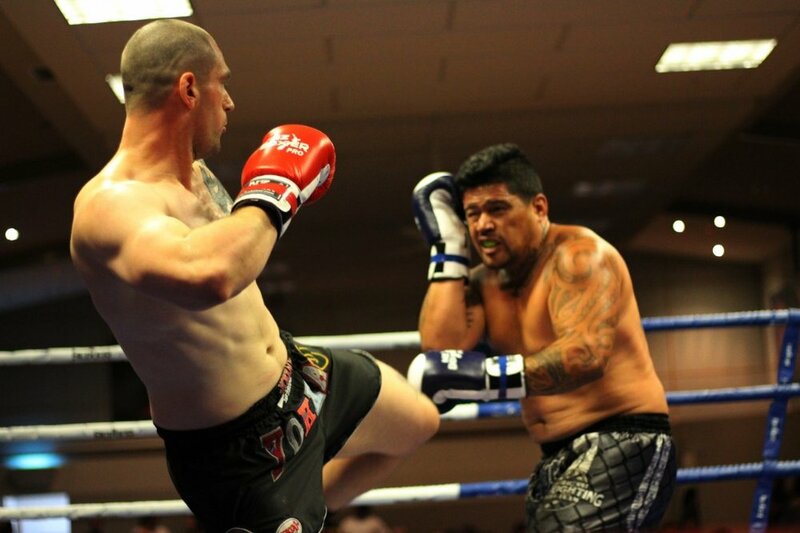 Eru Paine of Maui Muay Thai had his hands full as he took on EFC's Tom Donaldson in a padded K1 bout at 75kg. Donaldson was the aggressor, with Paine fighting on the outside looking for the counter. Donaldson brought a sustained attack over 3 rounds, unloading clubbing body shots en route to a unanimous decision victory. 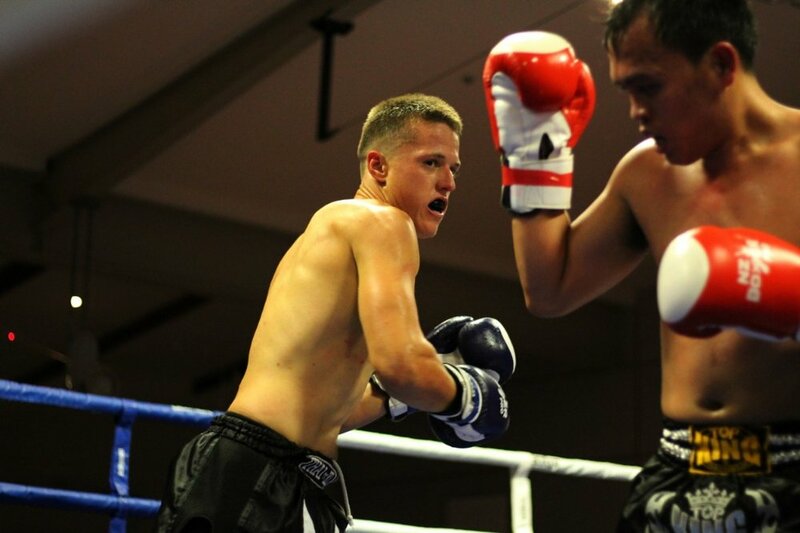 Two youngsters faced off in the opening bout of the evening in a padded bout at 44kg. 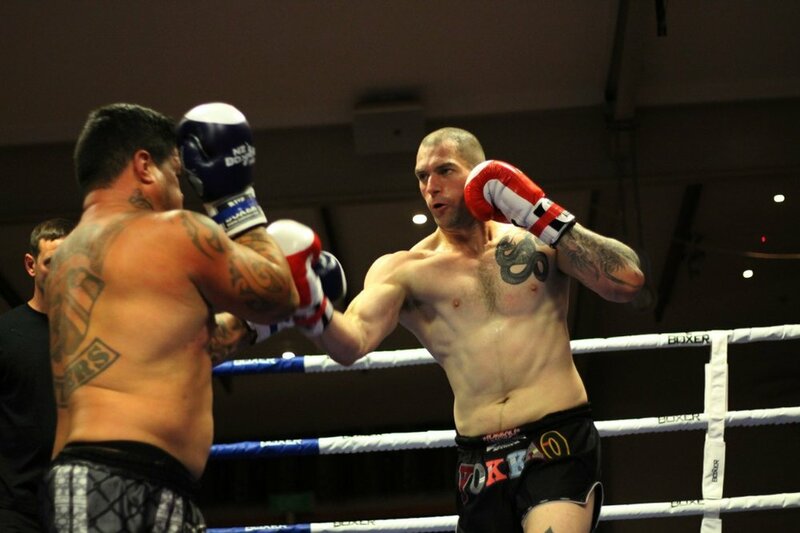 Brooklyn Cranstoun of Mauy Thai Christchurch faced off against AJ Foster of Lucky 9 Gym. 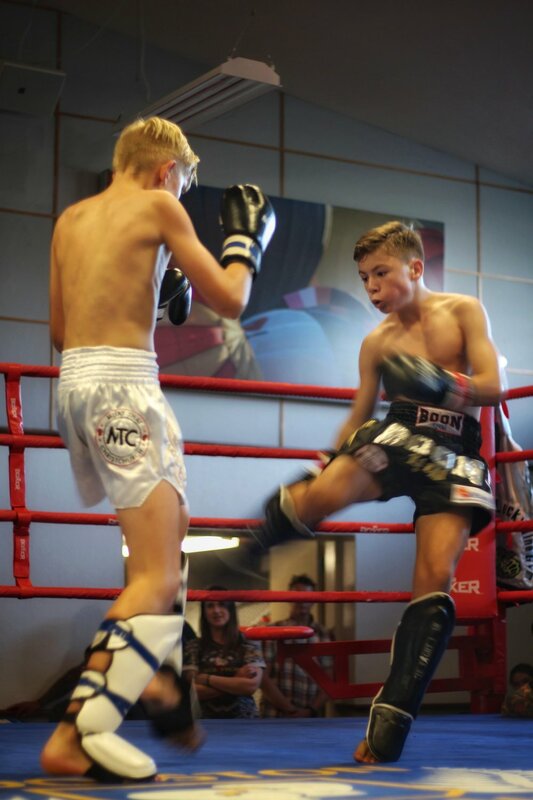 Foster the shorter fighter worked the right leg kick early, countering the range of the taller Cranstoun, who fought well but could not match the pace of Foster, who was awarded the win after Cranstoun could not continue after the close of round 2.